This past weekend, Torrance’s oldest production brewery, Strand Brewing Company celebrated their 7th anniversary with a weekend of beer, love and BBQ at their new Dominguez Street location. The three day event featured new beers released by Strand along with food by Bartz Barbecue and live music from such artists as Big Bad Rooster and Strand co-founder Joel Elliott’s, Uncle Bill. Due to time constraints I was only able to stop by on Saturday, which is when these photos were taken. If you have visited Strand Brewing’s new location, you know they have lots of space in their 36,000 square foot facility and they made the most of the space making it relatively easy for the more than 700 people a day that showed up to have room to eat, drink, play games and dance to the music. Fans of Torrance’s first production brewery, Strand Brewing Company, will be happy to learn that Strand has now officially moved to their new location at 2201 Dominguez Street in Torrance and they held a soft open over this past weekend. On Friday evening I happened to notice on Strand’s co-founder and head brewer, Joel Elliott, Facebook page a hint that Strand might be opening on Saturday afternoon. I sent a text to Rich Marcello, Strand’s other co-founder, around 10:00 PM asking if I was interpreting the hint correctly and was told that they hoped to open Saturday, but I should check back the following morning. 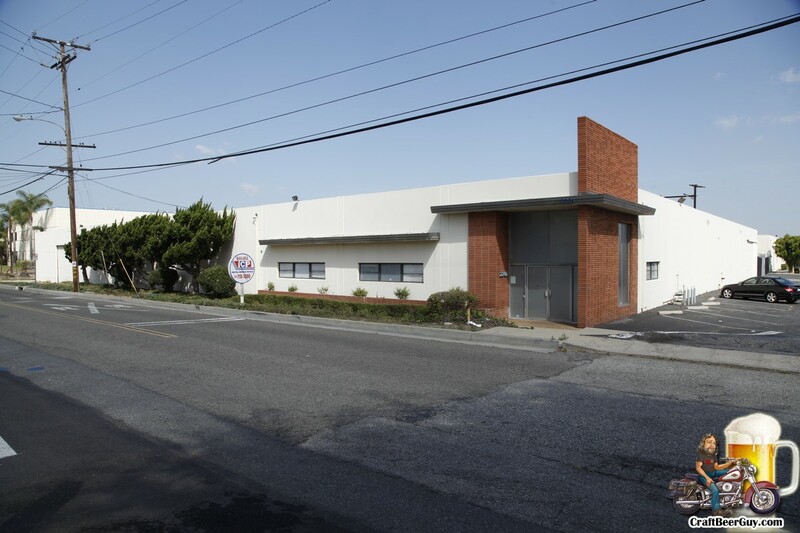 On Wednesday evening, Strand Brewing Company owners Joel Elliott and Rich Marcello appeared before the Torrance Planning Commission to request that their Conditional Use Permit, CUP15-00004 be approved. The gist of the request is that Strand Brewing Company wants to move to a bigger facility, be open longer and to be able to host special or private events on the days that they are not normally open. They also asked for the ability to bring in food trucks that comply with Torrance’s rules and have all the required permits. Joel Elliott presented the request to the Planning Commission and addressed an email correspondence from one Torrance citizen that was very animate that she was against the idea of a “bar” moving into the neighborhood with its noisy drunks wandering into people’s homes by mistake. He agreed that if this was the case he would not want it either; but anyone that goes to Strand Brewing Company or any local tasting room, knows this is not the case. Fortunately, there were six letters in favor of approval from neighboring businesses, customers, a charitable organization and a mix of all of the above. In addition, there must have been 10-15 supporters in the audience, four of us who spoke in favor of approval including Monkish Brewery owner, Henry Nguyen. Smog City Brewing owner Porter was in the audience in support of Elliott and Marcello’s request.